While Gov. Steve Sisolak has promised no new taxes in his proposed budget for the next two years, he also plans to light the fuse on a huge tax bomb in the future. 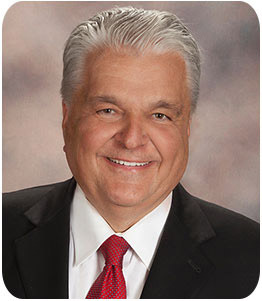 In his State of the State speech in Carson City before lawmakers he casually tossed out that state public employees “should be empowered to bargain collectively in the years ahead.” Since 1969 local government workers in Nevada have been allowed to form unions and collectively bargain for pay and benefits, but not so state government employees. Sisolak doubled down during an interview at the Smith Center in Las Vegas with the editor of the news and commentary website The Nevada Independent, saying, state public workers generally are paid less than local government workers and discussion of collective bargaining rights for state workers is long overdue. First of all, state workers were given 3 percent cost-of-living pay increases in each of the past two years. For years local government pay in Nevada has exceeded those in both state government employ and in the private sector, due to collective bargaining. But according to Bureau of Labor Statistics figures for the second quarter of 2018 the average weekly wage for private sector Nevadans was $908, while the local government worker was paid $1,049 and the state public employee averaged $1,097. By the way, the federal employees in Nevada averaged $1,406. Back on Nevada Day this past year, the researchers at the Nevada Policy Research Institute crunched the Census data for 2017 and found that local government workers in Nevada were the fifth highest paid in the country compared to other local government employees, while Nevada’s private-sector workers ranked a distant 47th compared to private sector workers in other states. Imagine what the future will look like if state workers are allowed to form unions and bargain collectively. determination is usually in favor of the union. when applied to public personnel management. The very nature and purposes of Government make it impossible for administrative officials to represent fully or to bind the employer in mutual discussions with Government employee organizations. The employer is the whole people …” When the people are paid less than their servants, who is the master?